When you have been injured at work, whether your injury was caused by a specific accident or from repetitive work activities (cumulative trauma), there are certain things you need to do to claim workers compensation benefits while protecting your job and your rights. Everyone’s on the job work injury situation is different, so it is best to consult with an experienced workers compensation lawyer when you need to know what to do if you’ve been injured on the job. If you need such help, Alexander Napolin is a workers compensation lawyer who you can call at 1 (909) 325-6032 and get on the phone for a free legal consultation to discuss your what you should do. Or, if you prefer, you can submit a work comp case evaluation form at WorkersCompLawyerIE.com and Mr. Napolin will be giving you call within 12 hours to discuss your situation with you. 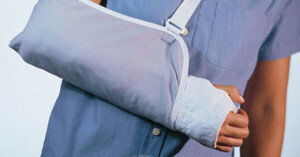 A specific injury is an injury that results from a specific work related accident. For example, when a worker sustains injury in a fall or when something falls on the worker, these are specific injuries. Often, these types of injuries are witnessed by a fellow co-worker or can be found on company surveillance cameras. Other times the injury is not witnessed by anyone but the work accident victim. In the event you suffer a specific injury on the job, the first step is to report that injury to your manager, boss or HR representative in charge of reporting work related injuries to. If a fellow co-worker witnessed the injury, make sure that you inform your manager, boss or HR representative of this fact. Once you report the injury, you should request a claim form to fill out to be sent to the workers compensation insurance company. You should also demand medical care for your injury. Generally, injuries that do not require care beyond first aid do not require your employer to submit a claim form to the insurance company. Demand that you get a claim form anyways. It is better to be safe than sorry in this respect. The cumulative trauma is a type of injury recognized by California workers compensation law. It differs from the specific injury because it does not come about by a specific work related accident. A cumulative trauma injury results from repetitive work related activities. For example, a secretary or assistant might develop carpel tunnel syndrome from repetitive typing. The work activity of typing caused the injury and need for medical care even though it is not the result of a specific trauma like a slip and fall. Other types of cumulative trauma injuries result from repetitive lifting, bending, sitting, squatting, driving, or any type of activity that is done over and over again at work that causes bodily injury. A cumulative trauma injury usually develops over time. Because of this fact, many workers do not report such injuries until they have developed into a more serious condition. Either the injured worker thinks the pain will go away (that they are just tired or sore) or they do not know that it is there work activity that is causing their pain or injury. It is important to know that because of their nature, most insurance carriers deny these types of injuries. These types of injuries require expert medical opinion to prove and the work comp carriers use this fact to deny these types of injuries. If you believe you have suffered a cumulative trauma, it may be best to consult an accident work comp lawyer immediately to discuss your rights before reporting your injury. A workers compensation lawyer can help you with how to approach the reporting of a cumulative trauma and can help you get the expert medical opinion you need to support your claim. Call Attorney Alexander Napolin Today For Help! If you need to know what to do if you’ve been injured on the job, you can call Mr. Napolin free of charge for a legal consultation. He is an experienced California workers compensation lawyer. All you need to do is call 1 (909) 325-6032 to reach Mr. Napolin directly. He will give you the advice you need to do things right. If you have been injured at work, call him today and get the advice you need and deserve!